We help improve the synthesis of research and program results; translate know-how into useful products and services; and promote expertise and innovations for policy action – encouraging wider use and investment. We offer practical approaches that increase the effectiveness of programs and research teams – integrating knowledge sharing, strategic communication for policy engagement, and information management (including Open Access). Goal: Innovations, program expertise and research are more widely used by decision makers, attracting investment to inform national sustainable development action plans. Services for development programs & agencies – Sci4D works with your program management and project teams to make your results more widely accessible. We help you translate your current and past innovations and technologies into products that can be widely used across countries and international programs. 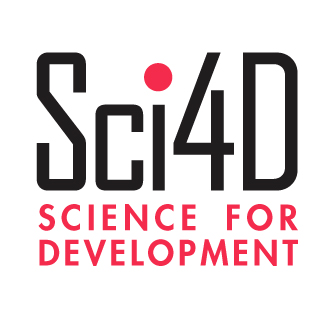 Services for national programs & research centers in low/middle income countries – Sci4D works with your team to build their skills to better synthesize and translate results into action. • Improved access to international funding. • Capture and translate your expertise into tools and products that decision makers and others, can use. • Craft strategies and action plans for improved knowledge and information management, for the widest use of your results nationally and worldwide. • Building your team’s skills in research-policy synthesis, translation, and promotion. • Build and strengthen systems that capture and translate know-how in your business processes and project cycles. • Improve quality of funding proposals – developing action plans that move research results into policy action and scaling up. • Effective information management – opening global reach for your results and data.